Ricoh has partnered with education technology company Blackboard to integrate Ricoh’s cloud storage environment with Blackboard’s education tools. The partnership is designed to help teachers more quickly and easily upload and disseminate learning materials to students. For example: a teacher can now scan an assignment onto a Ricoh multifunction printer where the assignment will be automatically uploaded to Ricoh’s cloud and into the teacher’s Blackboard Learn account. Once loaded into the Blackboard Learn account, the teacher can add permissions to enable students to access the document. In addition to document uploading and sharing, Blackboard Learn features a community portal where educators and students can interact and share content. It also provides educators with a content management system, and a digital tool for recording and analyzing test results. Ricoh recently released two compact multifunction printers designed for offices with limited space. The Ricoh MP C401 and Ricoh MP C401SR are capable of printing documents up to 8.5 by 14 inches with resolutions as high as 1,200 dpi. The Ricoh MP C401SR is 23.8-inch wide by 22.4-inch deep by 28-inch tall and includes a 250-sheet internal finisher capable of stapling 50 pages at a time. The C401SR's manufacturer's suggested retail price is $6,405 (about £3,775, AU$6,860). 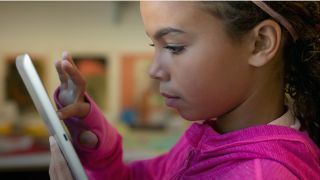 Google said today it will provide students with unlimited cloud storage via an education-focused version of Google Drive called Drive for Education. The service supports the uploading of individual files up to 5TB in size and is free for institutions registered for its free Apps for Education suite.